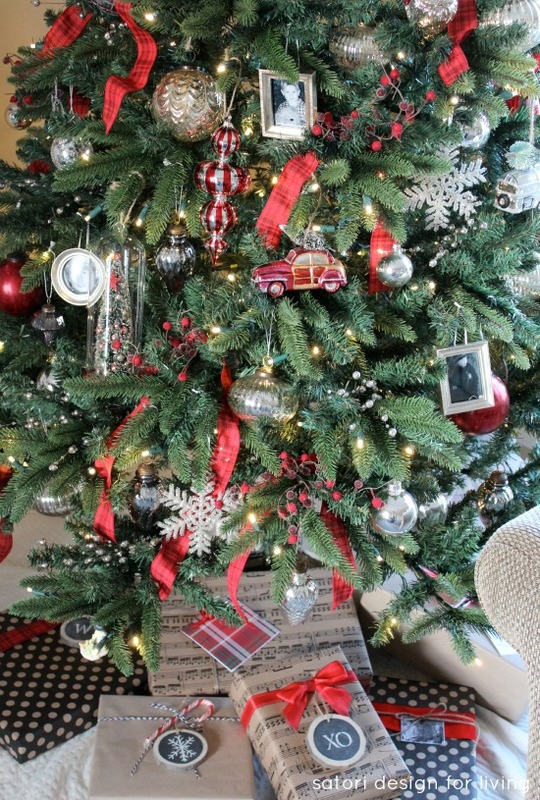 Check out our red, white and silver Christmas tree decor with coordinating gift wrap. Wow, Christmas is one week from today. My son returns home from college tomorrow, and I’m thrilled to spend some much-needed quality time as a whole family! 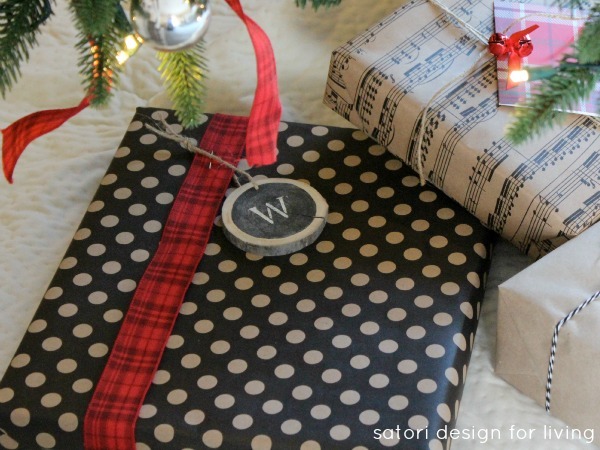 As promised, today I’m sharing a look at our decorated Christmas tree and how I wrapped all of the gifts. It’s definitely a departure from the light, bright and simple Christmas decorating scheme I tend to go with. But, after Pottery Barn sent me a box of mostly red ornaments that I used in this project, I was inspired to change things up a bit. 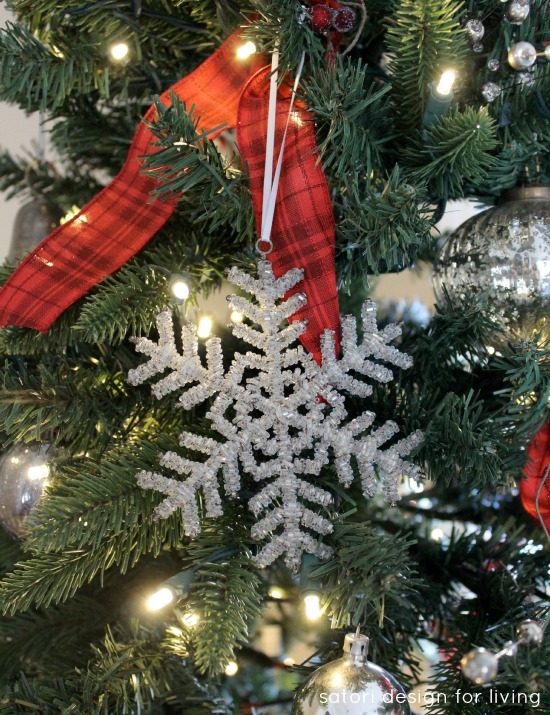 At the end of the past few Christmas seasons (when everything is drastically marked down), I’ve added to my basic collection of silver, white, and smoky coloured ornaments and filler. These will always be my foundational pieces for decorating the Christmas tree. 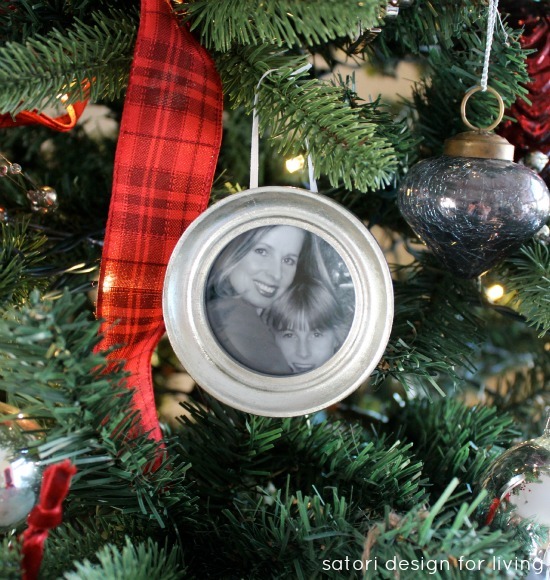 Now it’s easy and inexpensive to add other colours from year to year with a few simple ornaments and/or ribbon. 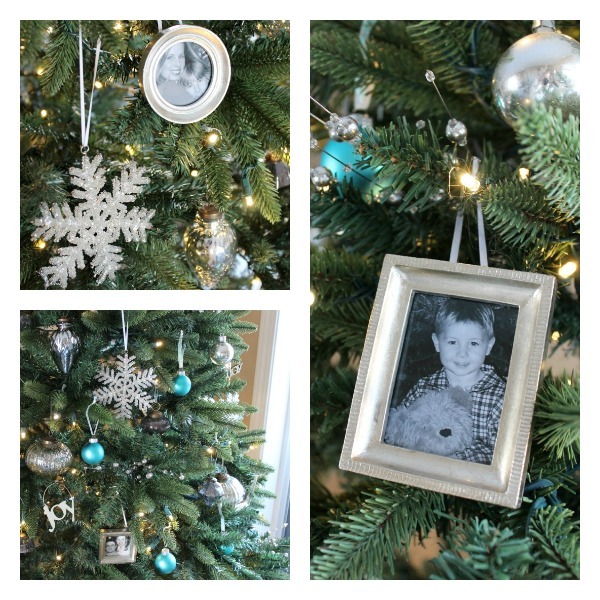 Last year, I added two boxes of glass turquoise ornaments for less than $10 and the tree looked so different. 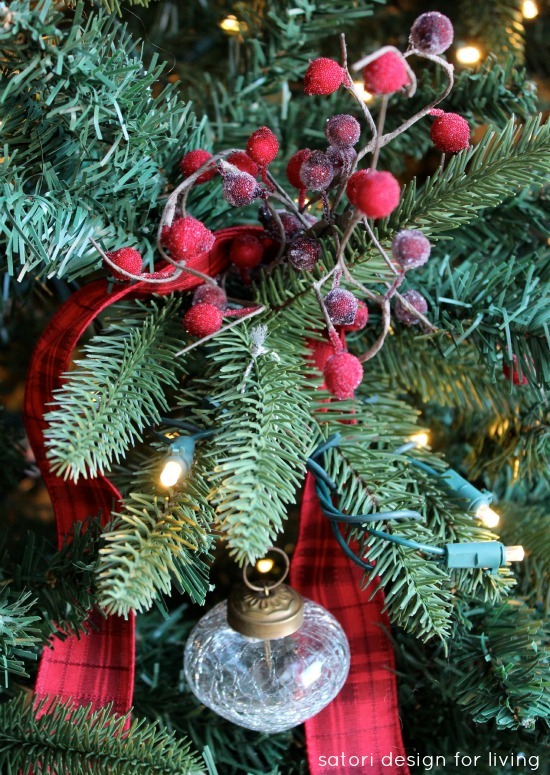 This time I decided to add the red ornaments, some red plaid ribbon (70% off at Michaels) and some repurposed berries I had stashed away from years ago. Decorating the Christmas tree this season was just over $3 in extra materials. I’d say not too shabby! 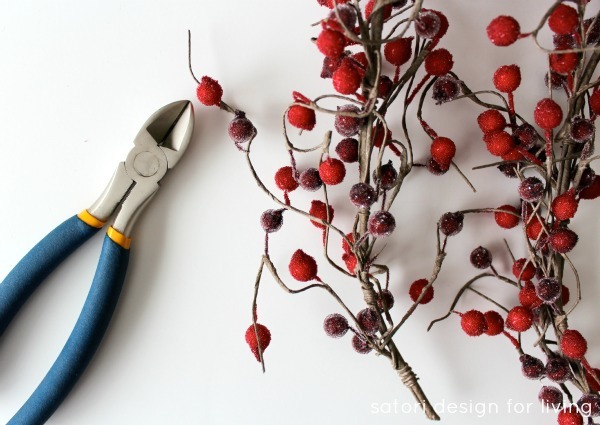 For the red berries, I simply cut a string of garland into lengths using wire snips. 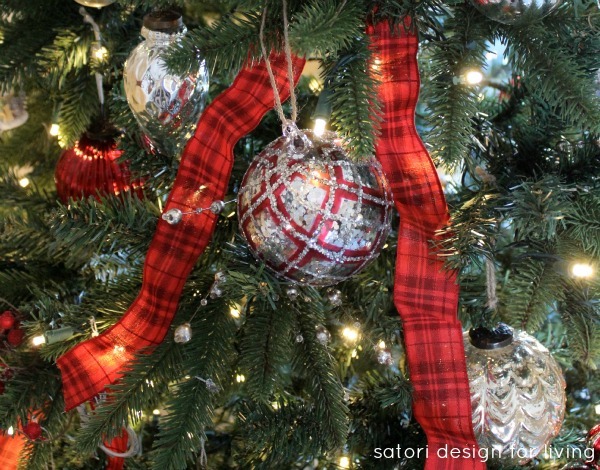 I placed each bunch on branches around the tree and draped wired plaid ribbon over top with the ends hanging down on either side. I like how it filled in the bare spots and added another dimension. 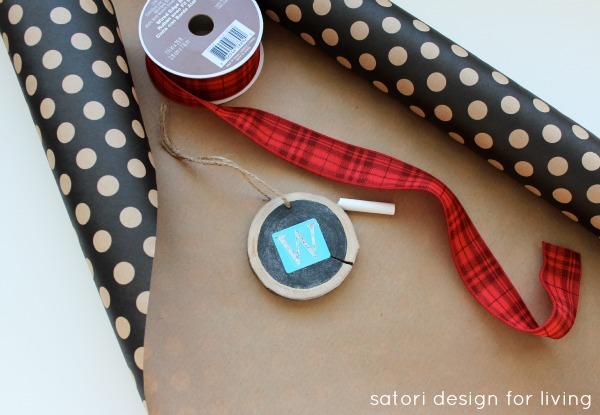 Simple brown craft paper and recycled printed papers fro Winners were easy to wrap with and so fun to embellish with ribbon, candy canes, photos, baker’s twine and jute. 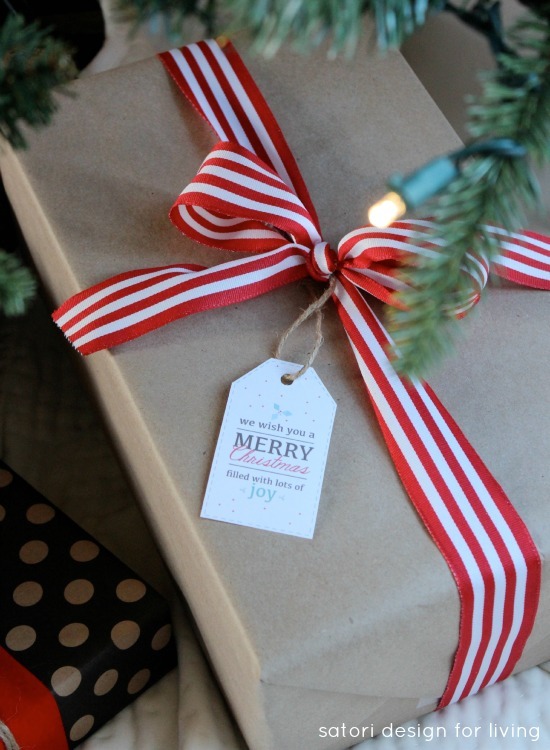 I printed some adorable Christmas gift tags to finish off the rest of the gifts . If you’re looking for some freebies, check out my Printables board on Pinterest! 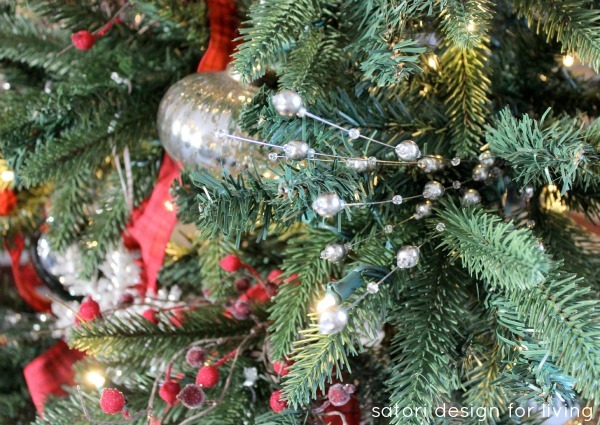 Do you change your Christmas tree decorating and gift wrapping scheme up every year or keep it the same? I’d love to know what colours you used this season! 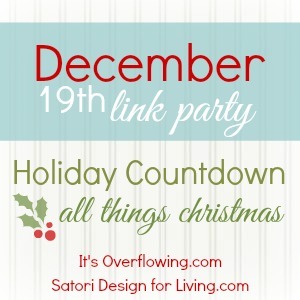 Also, don’t forget to come back tomorrow and share any of your Christmas posts at the Holiday Countdown link party I’m co-hosting with Aimee of It’s Overflowing! Thank you Angie! I would love for you to come for a visit sometime if you’re ever South. Perhaps we’ll meet in person in 2014. Merry Christmas to you and your family! 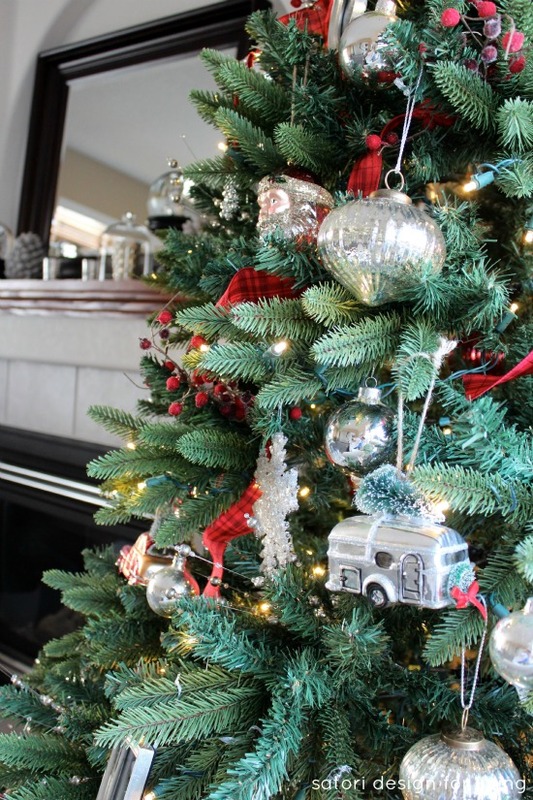 What a gorgeous tree Shauna, I like the pretty ornaments and how you filled the bare spots in with the berries (great idea!!) 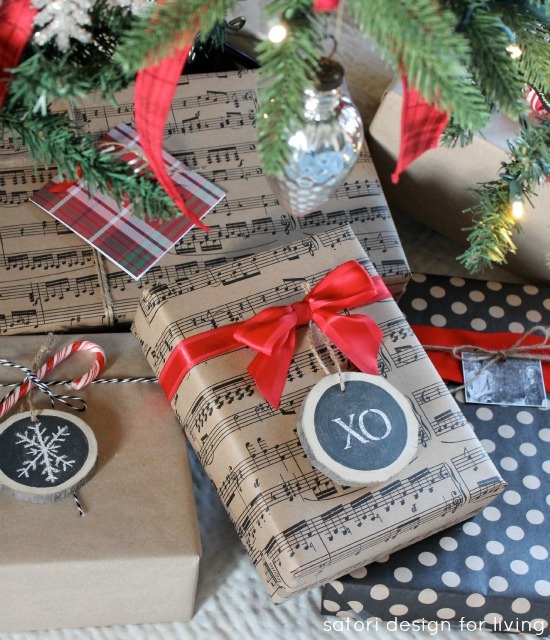 the gifts underneath look so beautiful too – you’ve sure done a wonderful job!! Thanks Heather. When you’re dealing with artificial you have to do what you can to make it look better. I may go back to the real thing some day. Merry Christmas! Wow, I love it!!! 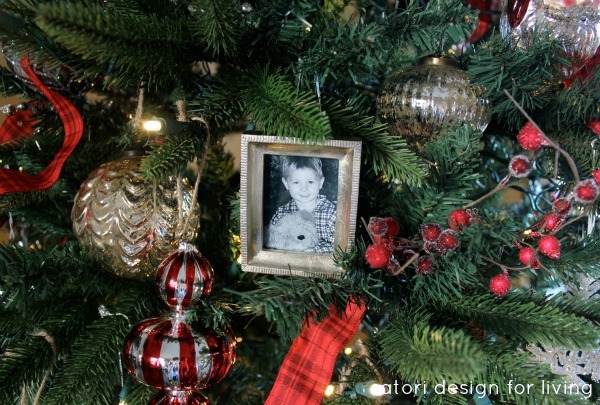 That tree is to die for, but the little memories of you and your adored son, heart warming! Our son is off on an adventure to Germany this year, he won’t be home for Christmas, I will miss him with all of my heart! Thanks for sharing your beautiful tree and wrappings! xo Enjoy the time with each other! Oh, I feel so sad for you that your son won’t be home for Christmas. But, they do need to go and do their own thing, don’t they! Sending you holiday hugs. Thanks for being such a great blogger friend! simply gorgeous. I look forward to seeing more posts from you. 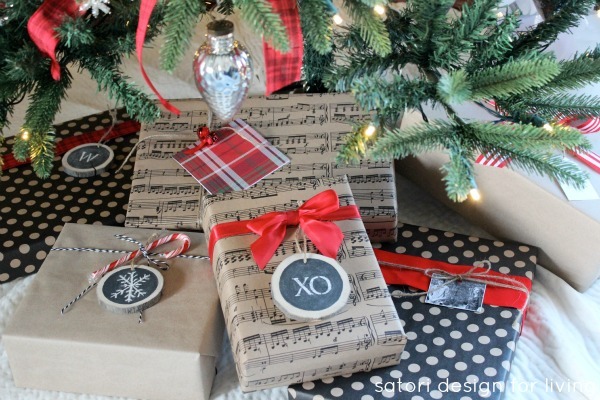 I like the idea of draping strips of ribbon instead of garland.